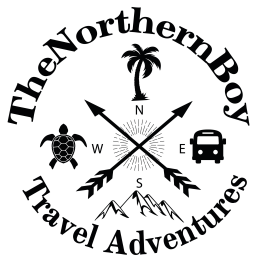 Looking for a holiday with excitement? Or a holiday with much needed lazy-days? 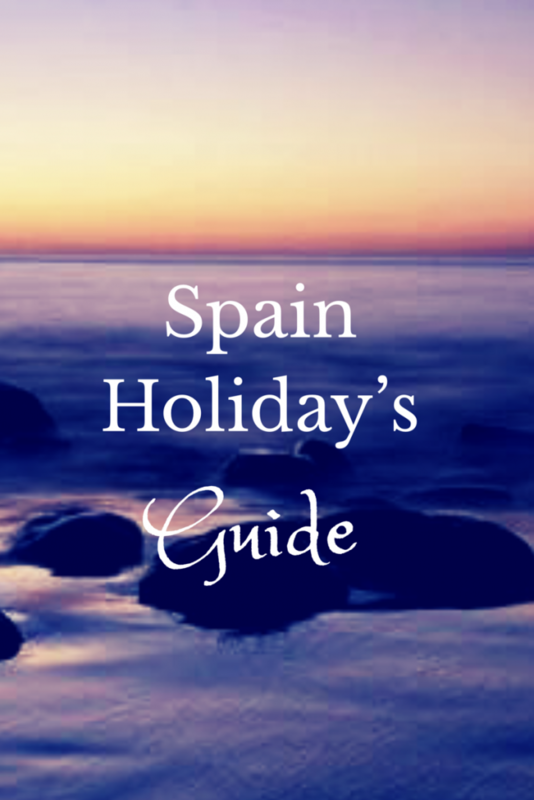 A holiday in Spain will give you anything you desire for that perfect European holiday. There is no wonder why Spain is one of the most popular touristic destinations in the world, with awe-inspiring culture, astonishing landscape and luscious-good-tasting food. Spain is a favoured destination of mine and is also a favourite for other travellers looking to take advantage of all the magnificent things this astonishing popular holiday destination has to offer. Spain is much more than sun and sand. Spain caters to all different holiday requirements of travellers. For example, Barcelona is one of the most breath-taking cities I have ever visited, as it gave me architectural beauty, colossal history and exciting energised city life. Also, Spain is home to the dreamy Canary Islands, which provides holiday-makers with unbelievable landscapes, relaxed vibes and experiences that provide tourists with a once-in-a-lifetime experience. It is a fact that Spain has smashed its own international tourism record for the fifth straight year in a row, with more and more visitors seizing a short snippet of the Spanish lifestyle, weather, food, history and weather. Like myself time and time again. 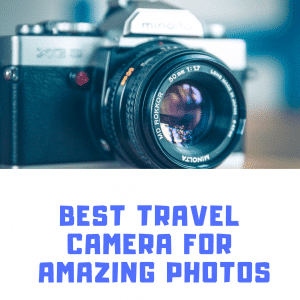 As a result, within this post I am going to share with you some of the best things about a holiday in Spain and the best holiday provider to ensure you have an amazing time on your visit to Spain. The Spanish culture are lucky to have such a mouth-watering selection of native local dishes. The Spanish food is a must-try option for visitors to this amazing country. The most popular dish is tapas, a definite favourite of mine. It’s real tasty back home in my native country of England, but it’s nothing in comparison to what you will experience in Spain. You really need to visit a country to get the real taste of their native foods, it’s like Spain has a secret ingredient they add to their dishes that no other international country knows about. Nevertheless, let’s look at some of the more popular Spanish foods that I know I love and maybe you will if you get to try the foods of Spain. 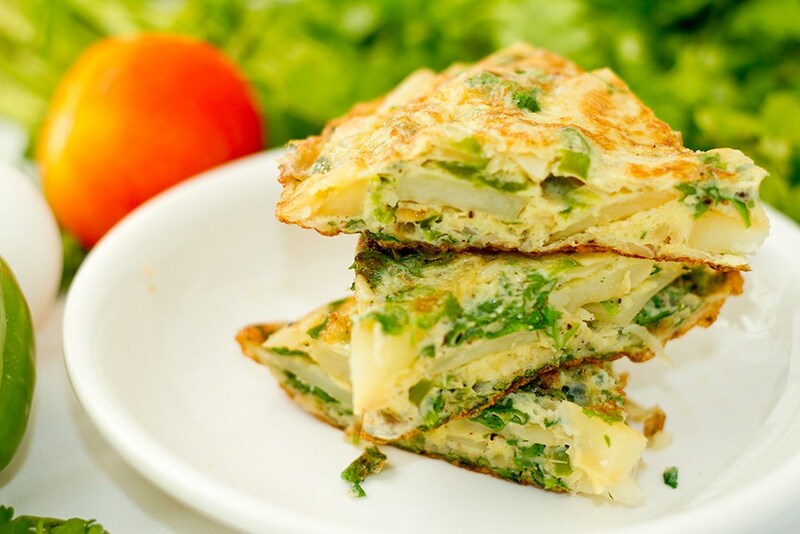 Spanish Omelette – This is a popular food of Spain and can be found in most local cafes and restaurants. I am a big fan of the egg omelettes, however I feel the Spanish omelette just takes the egg favourite to a whole new level. A mix of eggs, chopped onion and potatoes. Do not miss out on these tasty egg favourites of Spain. Paella – A rice and seafood delight, mixed with tomatoes and other ingredients that provides a divine taste for food-lovers. Paella is one of the most common dishes throughout Spain and is also a dish provided in other European countries. 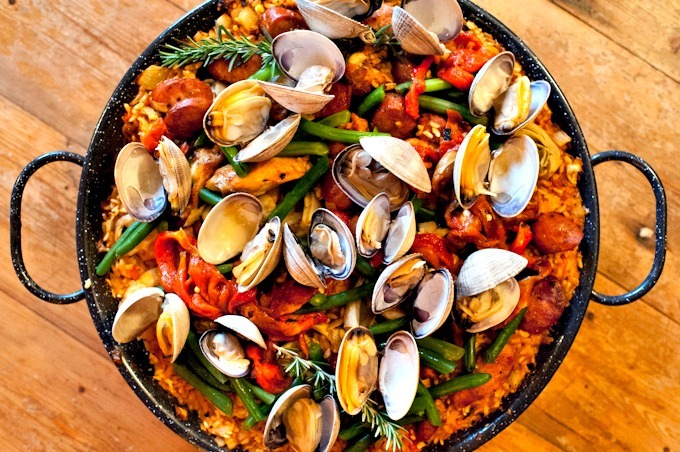 You can’t visit Spain without trying this amazing dish, also, don’t worry for those who are not into fish dishes, paella can be prepared as a vegetarian option or with chicken. Tapas – “1 more plate please, 1 more plate please and another plate please” I say to the waiter in a tapas restaurant as I order more and more of these heavenly mini dishes of Spanish cuisine. 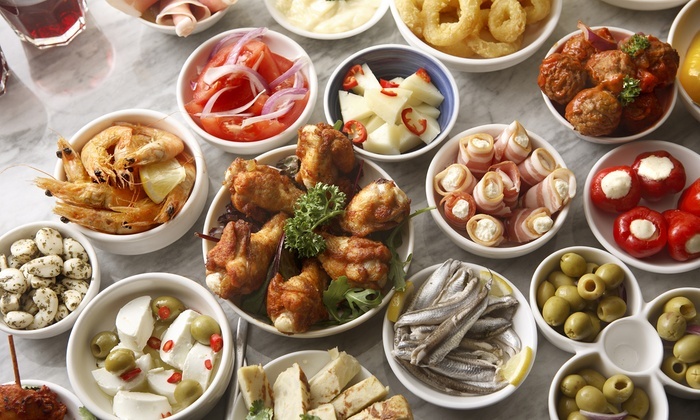 Tapas allows you to order mini plates of Spanish foods then you can try different options without paying out for the full meal. This history of Spain dates to the middles ages of around 1516 and you get a real sense of the Spanish history still embedded within the unique architecture on the landscapes of Spain You will have plenty of oppotuity of discovering some of Spain’s most interesting history and on any holiday in Spain, you will never be to far from a unique point of history. Moreover, even with this new age of technology, Spain still keeps its historic essence, and this provides you as a tourist with an amazing visit. That yearly dream comes true when we step off the plane, checking into that fabulous Spanish holiday hotel and then head to the beach to watch the sun go down with that long-awaited holiday cocktail. This is how dreamy holidays start right? Then with each day you can take in Spain’s wonderful weather. Spain is blessed with hot-sun-shining weather, which is known to promote health and a happy lifestyle. 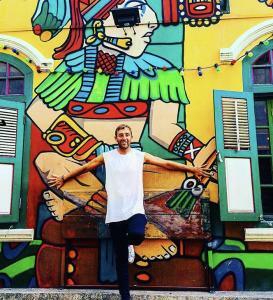 Therefore, it’s no wonder why the Spanish locals are vibrant and carry a smile on their face. Northern Europeans take advantage of the Spanish heat by visiting Spain in the winter months. Do you enjoy breath-taking beaches like me? Well, be prepared for some of the most amazing beaches in Europe with a holiday to Spain. For example, Es Trenc in Mallorca is one of Spain’s most stunning natural beaches and is backed by spectacular must see sand dunes. Furthermore, with Spain holidays you will get the chance to feel the Spanish sands between your toes, as you spend your day relaxing catching up on some much-needed rest. Or it may be the family holiday you have waited all year for, then you can enjoy a family day on one of the best beaches Spain has to offer. As a result, the Spanish beaches provide a perfect place to relax and enjoy the sun on your holiday. One of the most epic things you can do is the Gran Canaria diving and you should definitely look this up if you’re visiting Spain. For an amazing Spain holiday package deal, be sure to visit Sunmaster they will ensure you have an unforgettable holiday in Spain. Furthermore, you will get the very best of a Spain holiday, but at an amazing value with discounts suitable for all travellers. Also, Sunmaster have a flexible payment system, meaning you don’t have to skip on that much needed holiday. As a result, you can book hassle-free and know with Sunmaster holidays, you are going to have a unforgettable and truly fabulous holiday.